Mercury, or the messenger of the gods represents wit, communication and expressions, and will move into Sagittarius On Monday, 28th November, 2016. It shall stay, until its arrival in Capricorn on Friday, the 3rd February, 2017. 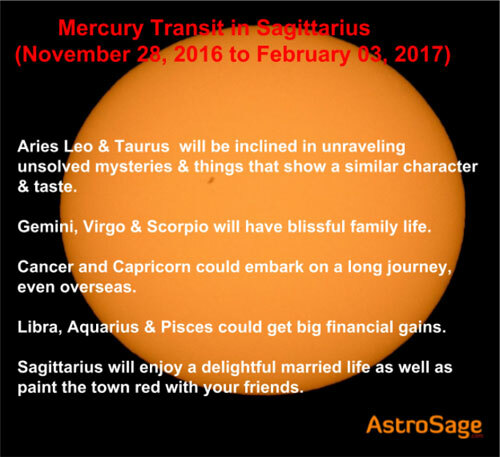 During these days, the impact on your life would be colossal, good or bad that you can see for yourself by reading our Mercury Transit in Sagittarius.